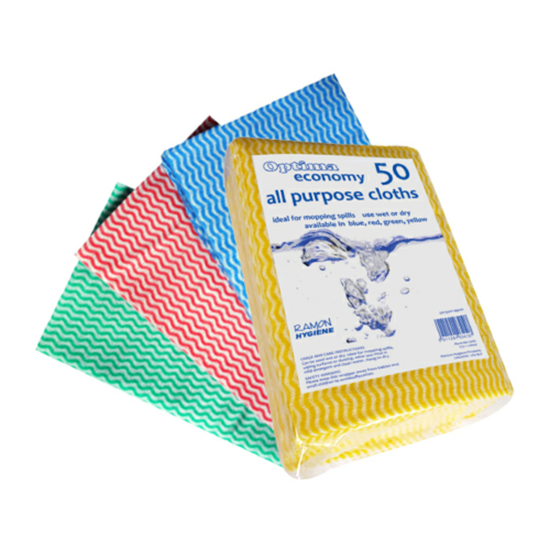 Blue Multi-Purpose Cleaning J Cloths Pack Of 50. General cleaning, with high quality fabric and vibrant colour this j cloth, is ideal for all establishments. Ideal for mopping spills and can be used wet or dry.